Need some rest and refreshment? The local restaurant will de?nitely cater to your needs. Already one single visit to the thermal spa and a stay in the water, originating from the Barbara spring, may have a positive affect on you and your health! The modern and light flooded swimming and sauna landscape promises a relaxing ambience: Let your spirits flow, enjoy a view on the imposing mountainous landscapes through the panorama window and feel this place of quietness and inner harmony. High-end design and spacious resting areas furthermore speak for themselves. The thermal spa water is also used for cures against diseases affecting the support and locomotor systems, various levels of fatigue and rheumatism. 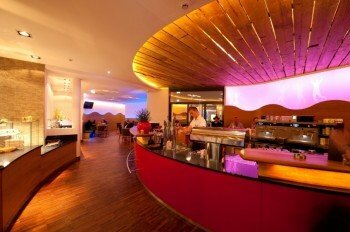 In the "Café Therme" you may enjoy regional delicacies, small snacks or other treats from our in-house confectionary in a cosy atmosphere. Use the wide range of choices for steam and sauna baths. Enjoy every single moment in the spacious sauna landscape. 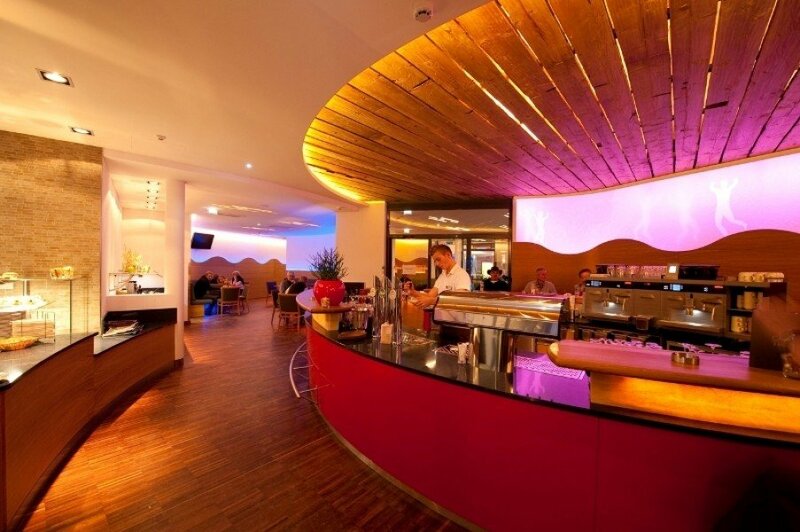 The special highlight is the panorama resting room with a majestic view on the Salzburg Alps. You will be well taken care of in the hands of our competent and qualified team, who will respond to your wishes and needs in respect of beauty and well-being. Individually applied treatment concepts for your body and face guarantee a fantastic all round physical feeling and radiant appearance as a result. Apart from classic wellness treatments you may well expect numerous new nurturing methods and rituals.